The PPC campaign management has become somewhat mandatory for marketers. Although there were times when marketers prefer organic search to get traffic, frequent Google updates have made it difficult to get reliable rankings. As a result, it has become important to run ads. Even if you rank 1 in organic search results, still you need to run ads to get the highest impressions on search results. For all such reasons, PPC campaign management is getting competitive, and you can get leads only if you stay ahead of others. 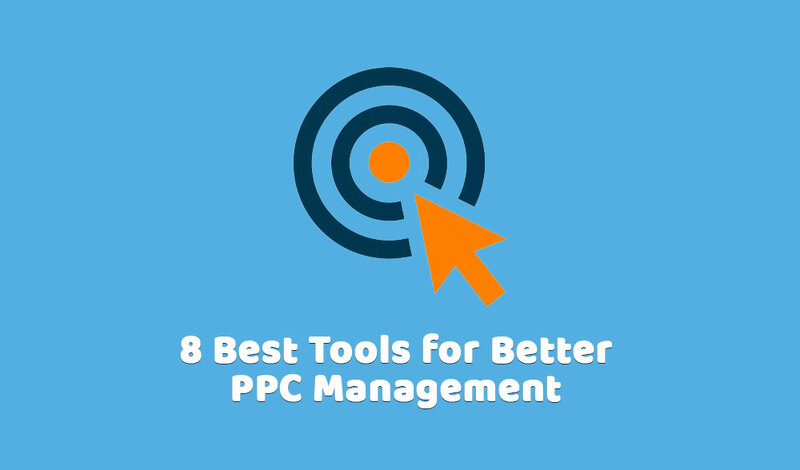 Here we bring you the 8 best tools to run your PPC campaign better and get amazing results. With a range of amazing PPC tools, Wordstream is a paid service that can help you get better results. Using its tools, you can manage, create, measure, and optimize PPC searches and social campaigns. This cross-platform tool allows you to manage your Bing, Facebook, and Google advertising accounts all at one place. You can get customized alerts and reports as well as suggestions to reduce cost-per-conversion. The free tools on Wordstream can be used to maintain your Bing and AdWords account and landing page performance. Price – Starts at $249 per month. This is an excellent tool for analyzing your competitor’s PPC program. You just have to add your competitor’s site details and know about the keywords they are targeting. In addition to giving you an estimate of your competitor’s PPC campaign budget, it gives you information about their websites landing pages and ads. This is an easy to use tool ideal to manage new accounts. You can review competitor’s ads, review them, write better ads, and optimize your site’s landing pages to get better conversions. Price – Starts at $59 per month. Optymzr is perfect for those who wish to manage their PPC campaigns effectively. It is loaded with tons of excellent tools and for this reason, won the US Search Awards 2015. The ‘One Click Optimization’ is their primary tool that allows you to automate the optimizing process of ads. Also, you can do A/B testing for ads and plan a well-structured shopping campaign and manage them conveniently. Applying the best optimization practice in a single click is possible. Furthermore, you can keep track of your quality scores, keyword levels, and ad group. It is great to get data insights and use reporting tools to create attractive visual reports. There is also a Script Library that has multiple useful scripts, which can be used to automate distinct tasks in Adwords. Price – Starts at $116 per month. Tenscores is great to improve the quality scores. Quality score is a vital factor in the price paid for an ad auction, and enhancing the quality score will help you pay less per click. The tool provides you recommendations on ways to improve quality score. It also tells you the ways to control money that might be leading to poor quality scores. Tenscores helps you keep track of how much improvement you have made on your quality score and how it has affected other metrics. Price – Starts at $25 per month. It is a wonderful landing page testing tool that allows you to test and build your landing pages without any IT assistance. It allows you to save money and spend less. The tool allows A/B testing to see variations in landing pages and help you get better results. With its drag and drop builder, you can create an efficient landing page. You can even do A/B testing for the new landing page with Pagewiz. Price – Starts at $29 per month. It is an excellent tool to automate your AdWords account easily. In addition to AdWords script feature, the tool allows defining the process you wish to automate with the visual flowchart. It enables testing ads across distinct ad campaigns and groups and measure results conveniently. You can use templates of distinct customizable visual reports and send them to the client right from the dashboard. Also, the search term analysis allows filtering and taking actions on search terms. Price – Starts at $165 per month. This is a fantastic bid management tool that allows managing bids easily across multiple campaigns on Google, Yahoo, and Bing from one platform. It allows you to automate campaign, perform keyword bidding, reach an optimal average position, create or import ad campaigns between different platforms. Price – Starts at $60 per month. AdRoll allows you to remarket in a better way. You can use it to remarket on Mobile, Web, and social platforms from one place. Also, it allows importing prospect emails and display ads across the web. With AdRoll, setting PPC campaigns is very easy. Price – Starts at $75 per month. With such tools in hand, sure PPC campaign management will be much easier and rewarding for you. Just strategize your campaign and start it using these tools. If you need any help, then you can always contact the experts at AIS Technolabs. Kavya Gajjar is a Marketing Manager at AIS Technolabs which is Web design and Development Company, helping global businesses to grow by PPC Company India Services. I would love to share thoughts on Social Media Marketing Services and Game Design Development etc.